Of all the edible plants people can grow in their gardens, or in containers, basil has to be the easiest of them all. No herb garden is complete without at least one basil plant growing. My only problem with growing basil is the price of basil seedlings and seeds of the nicer basil cultivars available. Growing basil from seeds is very easy and the most affordable way to grow many basil plants. Once you've grown a basil plant saving seeds from your basil plant is very easy, you just need to learn where to look on the plant so you know how to collect basil seeds. The blooms of Thai basil 'Queenette' that I grew from seeds from ReneesGarden. 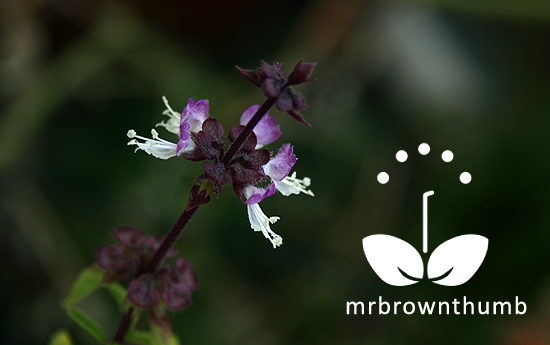 A nice aromatic basil with deep purple stems, purple flowers and narrow leaves. What does this Thai basil taste and smell like? A lot like black licorice, if you ask me. I'm not a fan of black licorice but I really liked this basil. Basil blooms grow in a grouping around the stems of the plants. Basil flowers attract beneficial insects into the garden and are pollinated by bees. After the bees have pollinated the flowers the petals and reproductive parts of the plants fall off. The part of the flower that remains is where the seeds will develop and from where you'll collect them. 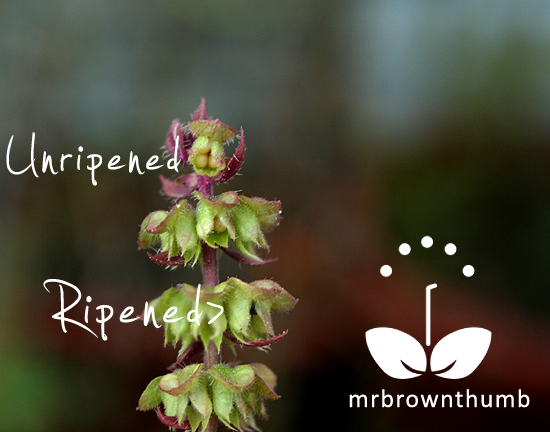 Unfortunately, basil plants don't produce seed "pods" or very large seeds, which makes saving basil seeds a bit of a challenge for a new seed-saving gardener. 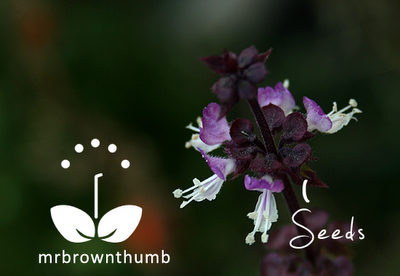 I've marked the basil flower picture above with the location of where the seeds will develop. Usually, if you wait for a stem or seed pod to turn brown you know that it is safe to harvest the seeds. With basil seeds a mature seed can sit next to seeds that haven't ripened yet. If you look at the underside of a flowering basil stem, you'll be able to look up and see the developing basil seeds. See the black spots along the stem? Those are the basil seeds that are ready to be picked. Inside each of these seed "pods" are two pairs of small black seeds. 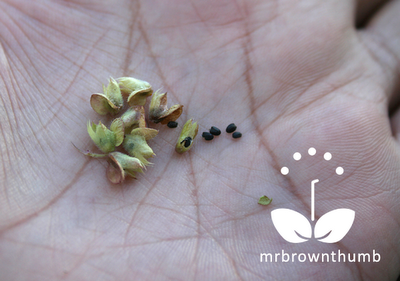 Basil seeds that are light-colored are seeds that haven't matured. If you want to be very meticulous about saving basil seeds you can pluck each of these pods off individually collecting only the black seeds, because mature and immature seeds develop alongside each other. Take a look at the basil seeds in the picture above. 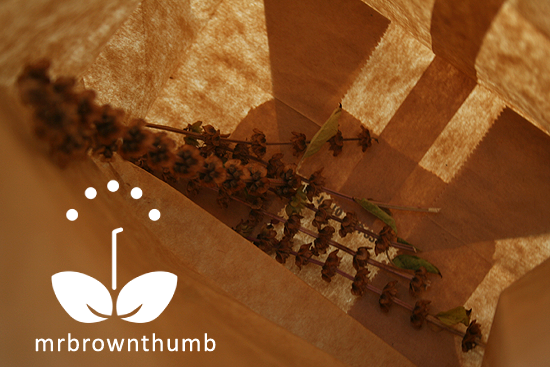 If you don't mind losing a few seeds: the easiest way to collect basil seeds is to allow the stems of the plants to turn brown and storing (and drying) the basil seeds inside a paper bag. Any basil seeds that fall out are caught inside the bag. Harvesting the basil seeds from among all the chaff can be a little time consuming because there will be a lot of chaff this way. Give the bag a sold shake every once in a while to help dislodge the seeds and allow them to fall into the bag. Now that you've harvest basil seeds from your plants, you can use the seeds to expand your herb garden or share them with friends. I wonder if you could use Thai basil in Italian cooking? Is it considered Thai because it's a little spicier than the usual stuff? I planted some lemon-scented basil seeds in my garden this year, and only one plant grew and survived my neglect and a miserably hot, mostly dry summer. Next time we're home, if it's still there, you can bet I'll be collecting some seeds from it. Wow! Thank you sooo much for posting this! It's so informative and just what I needed! I have so much basil flowering, that I can't wait to collect the seeds!! Thanks! I end up pinching off the flowers. I rarely let them flower since I'm so busy collecting the leaves for cooking and salads, and when they flower the leaves aren't as sweet. Maybe next year I'll let some seeds mature. I've really been having fun with seed collecting the last couple of years. Thanks for the tips MBT! Great info! I'm overdue for harvesting mine. I tried 5-6 different basils this year and really liked the Dark Opal purple basil. Also it's very easy to take stem cuttings right now and preserve them over the winter indoors. They will even root in water. Thanks for the information. I always grow one or two varieties of basil, but I have never saved the seeds. Now that I know what to look for, it will be easy for me to start doing that. I want to try a blue basil I saw next year. I've been saving seed for years and love the recycling business of nature. Thanks for the fantastic ideas of newspaper pots and other pots which can go straight into the soil. I like the cardboard ring idea as well. It also helps to protect young plants from cutworms. Occasionally (scuse the spelling) I buy herbs like watercress and even basil in winter and I just let roots grow and plant them in the soil and they usually do fine. My question: How do I stop origanum going to seed. I tried cutting off the ends and now I have y shaped ends. @Walk2Write, I'll let you know once I use the pesto I made with my Thai basil. @Meemsnyc, You're welcomed. Thanks for prompting me to make the post because I had everything I needed in the garden for it. @Garden Girl, Pinching basil flowers to use in your meals is a good idea. Also, pinching off the basil blooms helps extend the life of the plant and keeps it from tasting bitter. At the end of the season I will let them go to seed though as I've gotten pretty much everything I want from the plant by now. @Dave, You're right. Taking cuttings this time of year is a good idea! It will extend the growing season, also some of the dark varieties of basil may not come true from seed. The purple ruffles basil I bought this year did not come true from see. Cuttings is the best way to propapate basil cultivars you really want to keep. @GardenMom, Good luck with the seed saving and I'm glad the info was helpful. I think I'm going to try that blue one too, it looks beautiful. 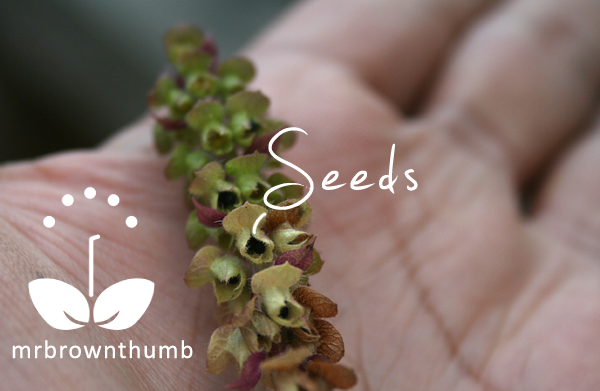 @NuttyGnome, Glad you found the post useful and I hope you do give basil seed saving a try. I love how the seed pods form on basil. I really love (LOVE!) pesto so you might think I'd grow basil. (Well, OK, *you* might not because you know me, but it would be a reasonable assumption otherwise.) This is one of those annuals, like cleome, I mean to plant every single year, and somehow I never do. They're added to my list now though. the best pesto I ever made was from a plant I grew from a cutting. I was at a museum and took a little stem from a huge basil plant growing outside, let it root, grew it to its full glory and then made pesto from it. I usually leave one or two stems to go to seed for collecting and then I pinch the rest of the plant to keep it growing big leaves for as long as possible. 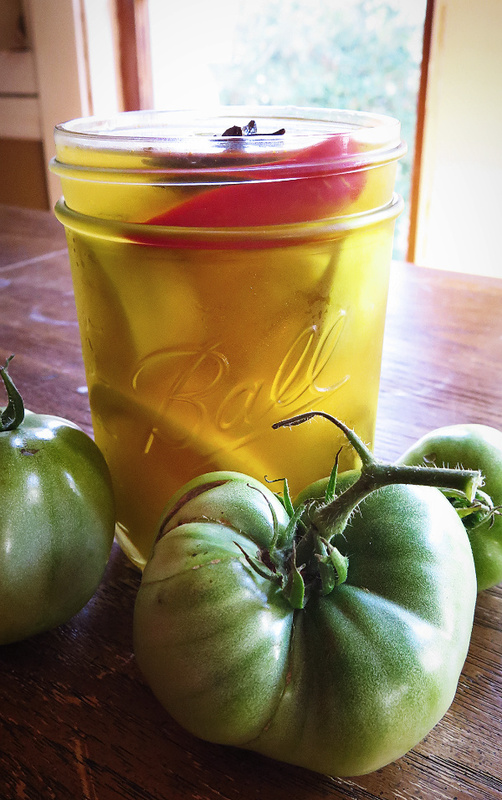 @Mel, See my post on How to save and store seeds for next year. It has pictures and all the info. 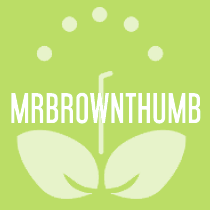 If you look at the top of this blog, you'll see the "seed saving" tab. In there I've archived all the seed saving and collecting posts I'm writing. There's a few there on saving seeds and creating seeds banks. A lot of my seeds I just store in a bin (you'll find the post on how to make one in the save seeds link)that I make out of plastic shoe box bins. These I just keep in cool, dry room in the house. Thanks! This is what I needed to know...you would think this info found in many places like books and on the web but it's not. I was always told to never let Basil seed... so I continuously pulled off flowers and discarded them around the garden. I have Basil popping up everywhere now! Yes! Great diagrams and reading! Many thanks!! You can if you want to, but they won't taste like much. Thank you, your information was very helpful! I can"t wait for my basil to bloom this year! Will it produce seeds (bad ones though) even if unpollenated? Wow! Someone else with a thai basil plant! I found one at a local grower's outlet here in town and decided to get it because my boyfriend is always making India and Thai food. However, I am an indoor gardener. This means my plants grow in a pot, under a light instead of the sun and that I have to pollinate by hand. Even if you don't know, this was such an awesomely detailed post, with clear pictures, and concise wording. I have been looking up info on collecting seeds for about an hour now and found this to be just what I was looking for! Basil will self seed every year, just look around last year's plant in the spring.